The Heart Pills charmed students at The Cabin in Davies Center. The Cabin hosts free music and other live events on a weekly basis. My journey to loving Eau Claire came through a simply wonderful experience at UW-Eau Claire. As a non-traditional student I was amazed at everything there was to do and participate in on campus. Recently I was reflecting on what a great place this was and how much I truly enjoyed campus life (these were the most wistful of memories). Suddenly, I realized that the campus was not shut off to me simply because I’m no longer a student, in fact there are many awesome things I can do on campus! And to put a cherry on top, many of these things are super cost effective! First, for me, is the tremendous amount of entertainment on campus. The University Activities Commission (UAC) puts on great films and concerts throughout the year. Not only can you see a great all-ages show for free at the Cabin every Friday and Saturday night, you can also go to the great outdoor and large venue shows. This season is kicking off with Eau Claire-based pop-rock band The Millennium with a free outdoor show in Owen Park. 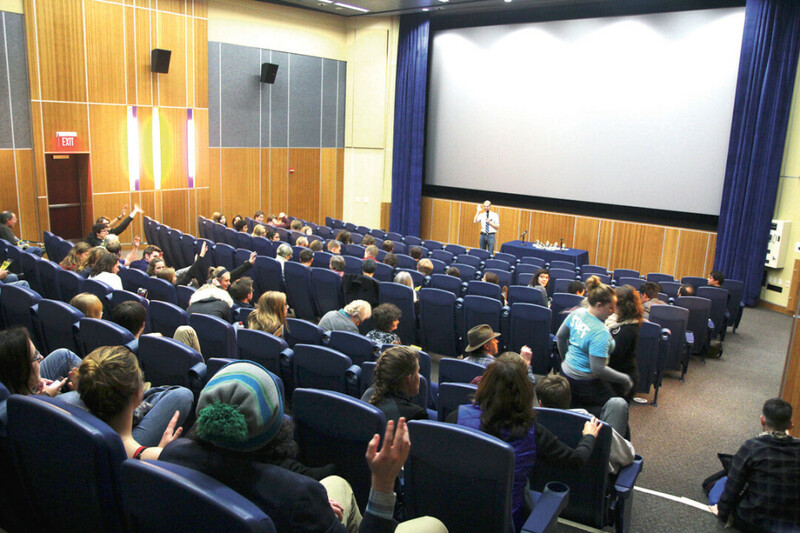 Campus activities open to the public include films in Woodland Theater (above) and the Bird Museum (below) in phillips hall. 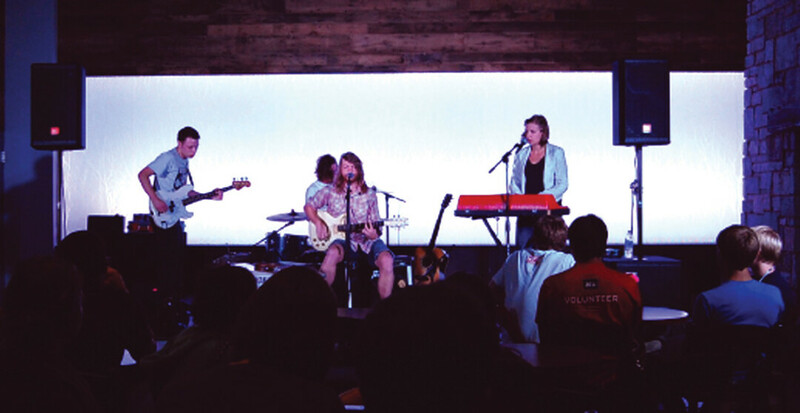 And, UWEC is even getting into the festival game itself, this year they will be hosting the Local Aire Music Festival on Oct. 3, with headliners Aero Flynn and a great lineup of Eau Claire bands like Sayth, Waldemar, Two Castles, D. Janakey and Len Voy. Again, this fest is all [expletive] ages! Did I mention films? Because, the UAC Film Committee plays a mix of foreign, art house, and Hollywood fare every Friday through Sunday in the Woodland Theater in Davies Center. Lovers of other music can also enjoy an evening on campus. Between all the recitals for faculty and seniors, amazing choral and a cappella groups, various marching bands and ensembles, and the university’s gem of a jazz program, there’s always something good happening in the Gantner. Also, the Forum Series brings in some of the best minds around the country to talk about issues that impact us on the global scale. Lastly in the artsy vein, the theater department puts on great plays for those of us who love to see a variety of works on the stage. However, cool things to do on the UWEC Campus do not stop at concerts, speeches, plays, and movies. 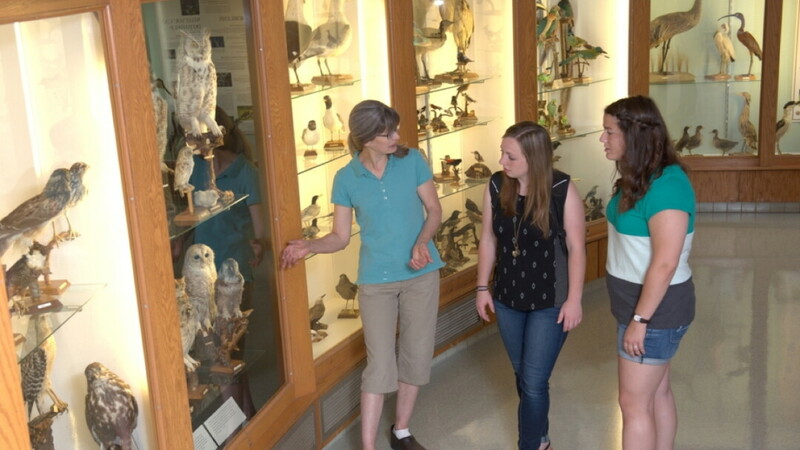 During the week you can tour the tropical and succulent houses in the biology greenhouse, check out the James Newman Clark Bird Museum in Phillips Science Hall, and see some great art in the Foster Gallery inside Haas Fine Arts Cennter. Did I mention all of those are free too? Here’s a big one on campus for me – Printing Services. I encourage all creatives in town to check this out. They do amazing work printing posters, flyers, photos, and more at a fair price. Parents should also check out the great educational opportunities for local tots, tweens, and even adults. Blugold Beginnings, the Center for Communication Disorders, Children’s Nature Academy, and Continuing Education all foster learning in this community for people of all different ages. This list only scratches the surface of all the great things we can all do on the UWEC campus. So, now it’s on you to check out the campus and discover the rest.